Last year we brought you a review of Canadian publishing in 2016. You liked it so much we thought we'd summarize 2017 for you this year. 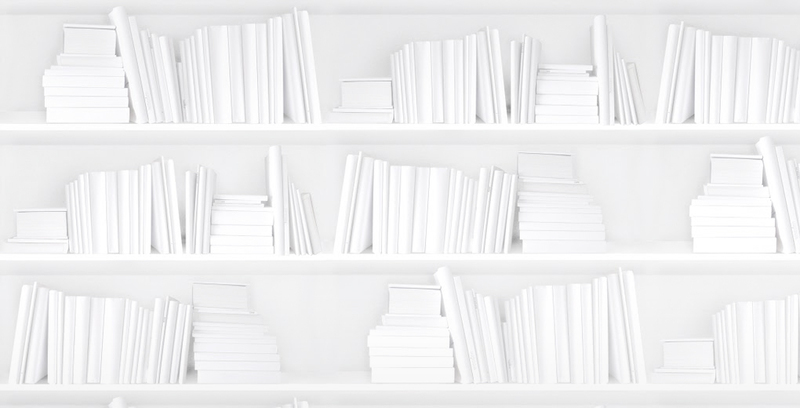 We're only a few short weeks into 2018, but now's a great time to look back at the year that was and see what exactly happened in the Canadian English-language, print book market. The following stats regarding units sold and value sold are based on data reported to our sales tracking service, BNC SalesData, from a specific subset of retailers selected because they report consistently year over year and which excludes retailers that may have been added or removed from our panel in the last year. This ensures an accurate assessment of market change over time. Print book sales in the Canadian trade market fell in 2017, dropping by 4% in units sold when compared to units sold by a comparable set of retailers in 2016. In 2017, of all the books sold into the Canadian market (as reported to BNC SalesData), 40% were Juvenile (including Young Adult), 32% were Non-Fiction, and 26% were Fiction, which shows minor gains for Juvenile at the expense of the other two categories since 2016, when the breakdown was 38%, 33%, and 27%, respectively. The number of units sold overall was up in 2017 when compared with the number reported for 2016: 51.5 million units in 2017 compared to 50.6 million units is 2016. However, some of that gain might be attributed to new retailers reporting their sales to SalesData in 2017. Juvenile (including YA) books saw the largest increase in units sold from 19.9 millions units in 2016 to 20.5 million units in 2017. Non-Fiction units sales also increased slightly from 16.3 million units in 2016 to 16.7 million units in 2017. Fiction was virtually unchanged with retailers reporting 13.4 million units sold in 2016 and 2017. The amount that Canadians spent on books in 2017 is down 3% when compared with the value of books sold by a comparable set of retailers in 2016. Using this same comparable retailer group, we see that the amount spent on Fiction books stayed virtually the same between 2016 and 2017, while the value of Non-Fiction books sold was down 3% from 2016, and the value of Juvenile and Young Adult books was down 5% from the year before. When we look at the overall value of books sold in 2017 compared with the value of books sold in 2016, we see that Canadians spent $1 billion on books in 2017, up from $989.9 million in 2016. Again, however, some of that gain might be attributed to new retailers reporting their sales to SalesData in 2017. The largest gain in value sold was in the Non-Fiction category, which grew from $423.4 million in 2016 to $453.5 million in 2017. Fiction also saw a decent rise in value sold from $257.1 million in 2016 to $268.3 million in 2017. Juvenile and YA stayed the flattest with $295.8 million in sales reported in 2016 compared to $300.3 million in 2017. 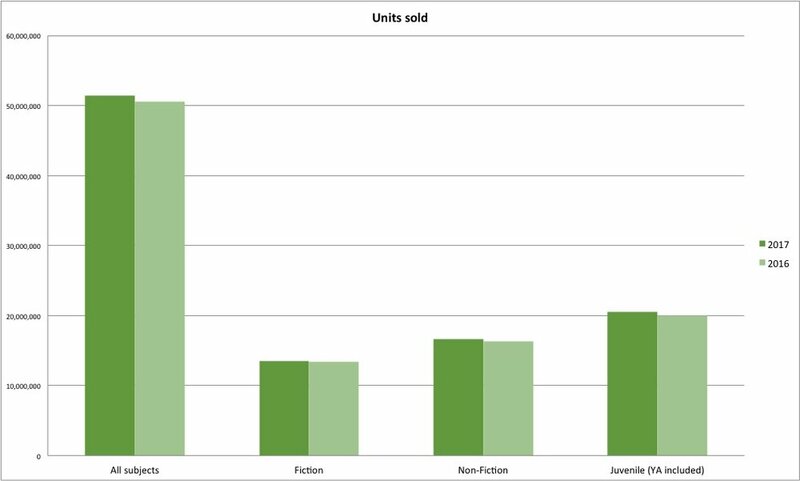 Which books took the largest share of the units sold in 2017? The following bestsellers did. From the week beginning Jan. 2, 2017 to the week ending Dec. 31, 2017, here are the titles that sold the most in Canada (according to BNC SalesData, which tracks print sales in the English-language trade market). It's interesting to note that two of the top five books — The Subtle Art of Not Giving a F*ck and Milk and Honey — are both backlist titles, having been published in September 2016 and October 2015, respectively. The edition of Wonder that came in second among Juvenile books is also an older title; the trade hardcover came out in February 2012. Sales of that title, of course, were likely buoyed by the film adaptation starring Julia Roberts, Owen Wilson, and Jacob Tremblay that was released in November. In 2017, 60% of all print book sales were for backlist books, which is up by 2% over 2016. The 2017 edition of our comprehensive study on the market, The Canadian Book Market, will be out later this year, with many more details and in-depth information about the state of Canadian publishing in 2017. Keep an eye out for it!